Patrick Kaczmarek is the head instructor at Cottage Lake Family Karate in Woodinville, WA. Mr. Kaczmarek has been teaching martial arts for the past 14 years, and training for 24 years. He holds a 4th Degree Black Belt and has trained and is proficient in Ed Parker’s American Kenpo, Self-Defense, Kickboxing, Tae Kwon Do and Brazilian Jiu-Jitsu. What makes him unique is his ability to teach children, families and adults, and train the beginner and experienced veteran. Patrick Kaczmarek has created a well-rounded Martial Arts system that anyone can utilize. From the true beginner to an advanced student, everyone practices at their own level and ability. Whether you’re a battle tested veteran or just getting started we have a program that’s right for you! Let Cottage Lake Family Karate help you get started in the most fun and exciting sport on earth! Cottage Lake Family Karate is considered by many to be the premier family karate, self-defense and kickboxing school in Northwest Washington. We offer classes for children ages 4-12, teens and adults. Whether you’re brand new to Martial Arts or an experienced martial artist, we have something for you. Our staff here in Woodinville, WA has the confidence and belief that anyone can and will succeed in any of our programs that we offer. Our students will achieve a variety of skills and techniques. Cottage Lake Family Karate is fully committed to providing the highest quality training available and is proud to say that we will give a positive learning environment in which individuals of all ages can benefit from. No matter what abilities you are made of, we guarantee you that you will be treated with common courtesy and recognition. We strive for our student’s happiness and we do everything in our power to make sure our students are learning, building endurance, and having a great time. Our academy specializes in Kids Karate, Family Karate, Kickboxing, Brazilian Jiu-Jitsu and Self-Defense. We’re located in the Cottage Lake neighborhood of Woodinville, WA on the corner of NE Woodinville Duvall RD and Avondale which is conveniently located 3 miles east of Hwy 522 in Downtown Woodinville, and 6 miles North of Hwy 520 in Downtown Redmond. Headed by Patrick Kaczmarek and a staff of expert instructors – our goal is to provide our students with the best Martial Arts and Fitness instruction in a safe and friendly environment. Our programs were designed to meet the needs and goals of the true beginner and advanced student alike. We know that every student that walks through the door has a different reason for wanting to train in Martial Arts. Some students want to develop more confidence, discipline and focus; some students want a great workout to tone up and get in shape; some students want to learn how to defend themselves; some students want to train in the same disciplines that UFC fighters train in, but just to learn in a safe environment and not actually fight. Please know that no student at our academy is ever forced to fight or compete, that’s totally up to the student. Whatever your reason is for training we’ll do our very best to help you meet all goals and desires. At Cottage Lake Family Karate we want our students to feel comfortable in class and to really get the most out of their time spent here. Our students will train, progress, and achieve here at Cottage Lake Family Karate. Come join our Woodinville, WA Karate facility! 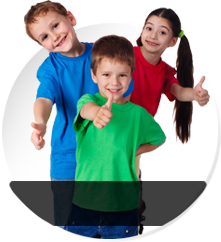 We offer programs in Summer Camp, Adult Martial Arts, and Kids Martial Arts. Choose a program that most interests you and have the opportunity to sign-up right here on our site for one of our awesome web specials. Or feel free to give us a call at (425) 788-8888 if you have any further questions. Cottage Lake Family Karate hopes to speak with you soon!